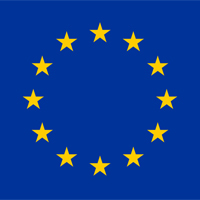 Are the European Parliament elections important to your business? Blog » News & Events » Are the European Parliament elections important to your business? As a busy small business owner, the European Parliament elections on Thursday 22nd May might not have crossed your mind. However, the outcome of these elections and a change in Britain’s position in Europe could affect your business in the long-run. Indeed, this month’s Sage Omnibus results revealed that a third of businesses (33%) currently trade with the European Union or plan to do so in the near future, so we wanted to explore what EU membership means for your business? The UK’s economy is gaining momentum with a prediction of 3% growth this year (IHS Global Insight). Mainland Europe is also beginning to show signs of recovery. This means that businesses are more likely to trade. Being a member of the European Union means UK businesses will pay zero import or export tariffs on goods and services, but also on anything you buy as a business, or indeed as a consumer. But why is this important? Well this economic lever helps keep inflation down which subsequently helps keep interest rates down. The EU economy is worth nearly £10 trillion and this is a market whereby British businesses can and are competing. You may not be at the stage where you are ready to export yet, but as your business grows this is something you might want to consider – and that time might come sooner than you think. We’ve seen this trend grow and that’s why we’ve built in export functionality into Sage One Accounts Extra. Think: Would Britain’s exit of the EU affect your business? That said the May Sage Omnibus revealed that the majority of business owners (66%) think that if Britain left the European Union it wouldn’t negatively impact their trade strategy. What are your thoughts? Over the last few years the European Union has been in extensive negotiations with the USA on creating an even larger free-trade area between the EU and the USA. This would be an extension to the tariff and quota-free area that the UK enjoys already with the rest of Europe. This deal is yet to be finalised, and the intricacies of which will be more complex than this, however if this deal was to be reached in 2017, would this affect your decision on whether, for the good of your business, the UK should or should not remain in the EU? As a member of the European Union, any company that is located within the UK also benefits from being able to trade with all other member states. Combined with the UK’s competitive tax regime, this has meant that the UK has been able to attract significant Foreign Direct Investment (FDI) – a perfect example in the North East being the large Nissan factory in Sunderland. You will have heard the headlines ‘EU tells farmers that bananas have to be a certain angle’. It is no secret that the EU is one of the largest, if not the largest, bureaucracy in the world. The downside that the EU has on the UK is that additional regulations are sometimes burdensome and costly to UK businesses. Whilst this can improve standards, it can also make British businesses less competitive in an increasingly globalised market where we have to be able to compete and be flexible. So there needs to be a balance between the two. Whether you vote and how you vote is your choice, but it’s worth thinking about the effects of these elections on your business. And if you add Sage Pay (our powerful eCommerce platform) to Sage One, you have a quick, easy and seamless way to sell your products and services online, and to manage this money with the minimum of fuss.